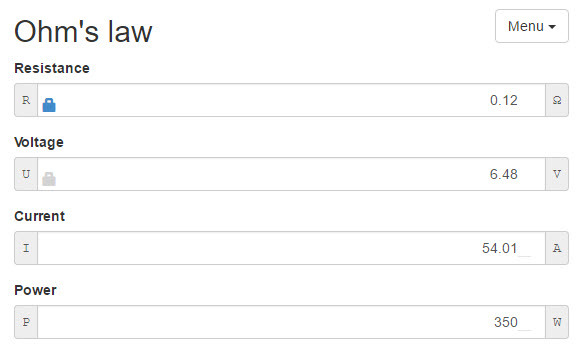 Before I dive into this device, let's look at the downside to devices like this. Our right to vape is being threatened this very second. Big tobacco and the FDA are trying to bring down the hammer on the vaping industry, and these master blaster devices are making their job even easier. Because of devices that go above and beyond what any vaper would ever need, studies like this one are able to throw shade on the whole industry.This study is claiming that e-cigs produce formaldehyde (at 5V). They go even further to say that that not only do they produce formaldehyde, but they produce even more than cigarettes. That makes for a horrible headline and gives them leverage in the battle for our right to vape. People who nothing about vaping will read a dramatic headline and form an uneducated opinion. It's our job to combat this in an effort to protect our right to vape. The truth is, hardly anyone vapes at the ridiculously high wattages on a consistent basis. Most vapers I know vape in a range of 20W to 75W. But that doesn't matter. All that matters is our opposition can make a case for how vaping is horribly dangerous and ruining our health. They also pull the kid's vape card, dismissing the fact that teen smoking is at an all-time low. Devices like the SMOK GX350 Master Blaster Disaster 400 18650 Brick Mod are making it easy to cast vaping in a negative light. If you use a TFV12 tank and vape it at 350W, you'll be above the 5V mark that they used in the study. Again, most people would never vape like this for more than a couple puffs just to play around. But now they can say it's a legitimate possibility. I recommend not spending your hard earned money on devices like this. If you want to try it out, see if a friend has one or a vape shop has a live demo. Companies will not keep producing devices that threaten our right to vape if people do not buy them. As vapers, we are in a weird position to where we have to be the elated consumers and the guardians of our rights. Thank goodness for organizations like CASAA that are fighting day and night to protect our right. As they become more powerful and influential, we will be able to rest a little easier knowing that they're holding down the fort. But we can't forget to support them and their work. Now that you know where I stand in regards to the stupid-high wattage devices, let's take a look at the GX350 for shits and giggles. Don't get the phrase “starter kit” confused with beginner. 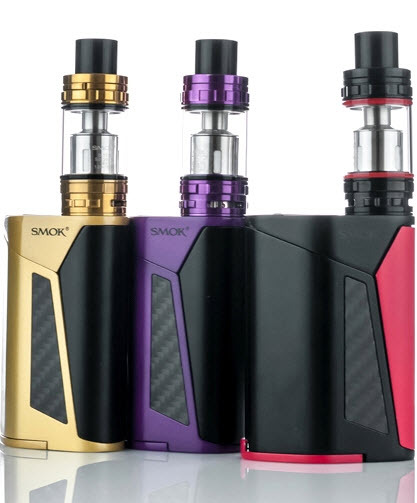 This is a starter kit because it comes with a mod and tank but it is not a beginner device. It's easy to use but a beginner could get themselves into trouble with the higher wattages. 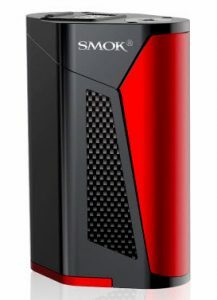 SMOK is well known for being innovative. This device falls right in line with the SMOK brand, innovative and excessive. When it comes to the atomizers, I'm a fan of the excessive coils. They're cool but I'll admit, totally unnecessary. As long as you don't vape them at stupid-high wattages, I don't see the harm in them. The TFV8 can be vaped enjoyably at 80W. Blasting it at high wattages every now and then probably wouldn't be too bad but I'm not doctor so leave me out of it. This kit comes with the TFV8, which I thought was a little weird. SMOK just released the TFV12 which is compatible up to 350W. It seems like these two devices were designed for each other, but for some reason they put a one year old tank with this brand new mod. Most people who would buy this tank probably already own a TFV8. You're definitely into high-wattage sub ohm vaping if you buy this mod. And with that being the case, you definitely own a TFV8 or either you're just now getting into high-wattage sub ohming. Either way, I thought this was a weird pairing given that the TFV12 was just released. I will not be buying a GX350 but I'm sure it vapes great. SMOK makes great devices and the YouTubers seem to like this mod. They seem to all think it's excessive and obnoxious but they say it performs well. If you're into super sub ohming, then this could be a good pickup for you. I'm not here to judge, the article above is just my opinion. At the end of the day, none of us really know how to save vaping or else we would just do it. If you are geeked about this mod, by all means live your life to the fullest.